Providing the best hotel renovation, tenant improvements & commercial remodeling experiences from Portland Oregon to Seattle Washington. We have now expanded our services over in Puerto Rico. Smooth Systems Construction Inc. provides our clients with prestigious tenant improvements, complete hotel renovation and remodeling contractor services in Oregon and Washington. We work with a variety of hotel chains and offer solutions and property sustainability. We do a range of projects: from small remodel to complete hotel renovations.. Our team is recognized for safe and clean work environments, organization and quality craftsmanship. We provide solutions for the hospitality industry with over thirty years of trade experience and highly skilled remodeling contractors working to restore your property back to its original charm or a new updated look all together. 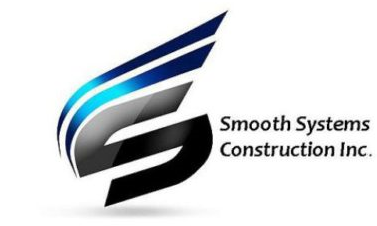 Smooth Systems Construction is a General Contractor who works with other contractors to give a network of professional services while working with professionals who understand the hospitality industry with years of experience under their belt. Our commitment is to build a solid foundation with our customers as we have done throughout the 36 years we have been in business. Hospitality construction takes special attention to detail, clean work sites and communication. Proficiency in scheduling throughout the project is key to insure a minimized displacement of hotel guests overnight stays and to keep your hotel booked and beds filled. Planning, communicating and follow through is how we are so successful in the hotel restoration industry. We offer our customers and their guests with safe and clean work-sites that are maintained and carefully conducted to insure your able to continue with business as scheduled while providing hotels with quality services that bring no interruptions for your hotel guests. If you are looking for renovate and restore the charm and beauty of your hotel, let us be apart of your important investment. We offer a multitude of services such as public relations, construction management, investor affiliations and networking. When you choose Smooth Systems Construction, you get exactly what are name says, a smooth system from start to finish. Contact us today for all of your hospitality construction and hotel needs. Backed by 36 years of industry experience specializing in providing comprehensive hotel renovation and remodeling construction services in Portland, Beaverton, Salem, Seattle, Sea-Tac, Spokane and all surrounding areas throughout the tri-Pacific Northwest.